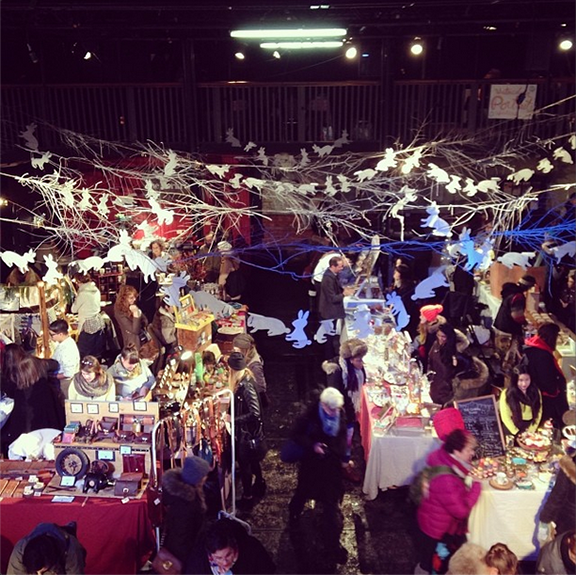 A weekend winter storm could not stop Toronto's annual City of Craft market this year. 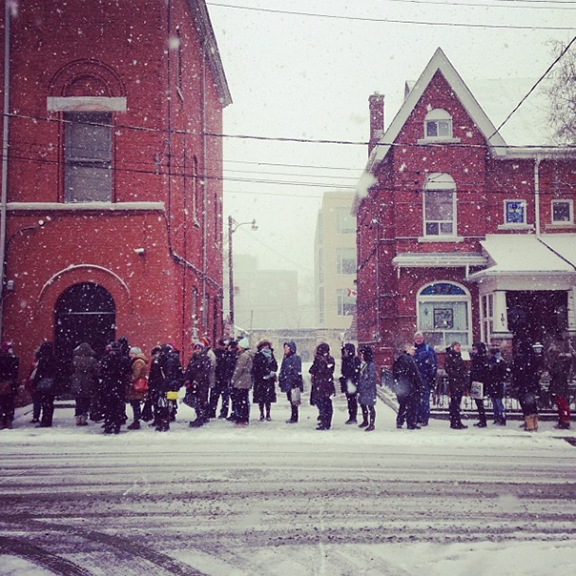 Even with frigid temperatures and sideways-blowing snow, lovely people lined up on Queen Street West & Dovercourt to check out the local goods and do some last minute holiday shopping. 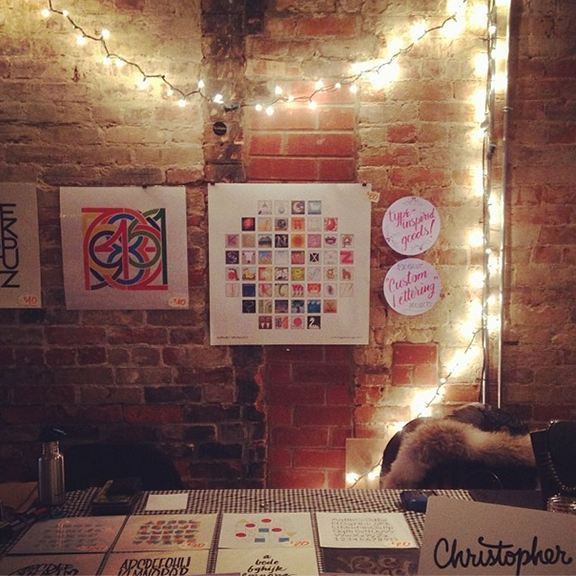 I am so grateful for everyone who stopped by, said hi, and purchased some prints and cards from my shop. I hope your new pieces bring you joy all year round! A special thanks to Becky and all of the amazing staff and volunteers who made this year's City of Craft a huge success. 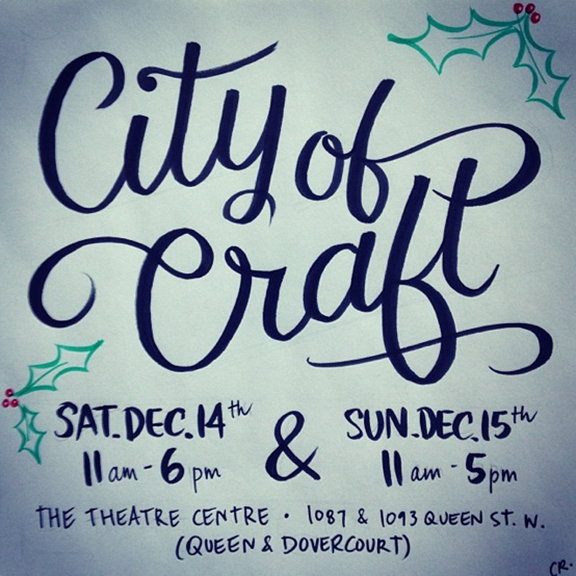 City of Craft is a collective of craft-engaged locals who aim to build community in the Toronto craftscape, support independent craft businesses, and encourage the larger community to get involved with crafty happenings in the city. 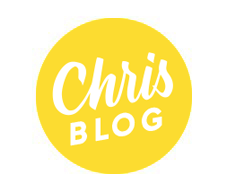 We organize shows, discussions, and activities, with the December City of Craft show being our major annual event, attracting approximately 5,000 attendees. 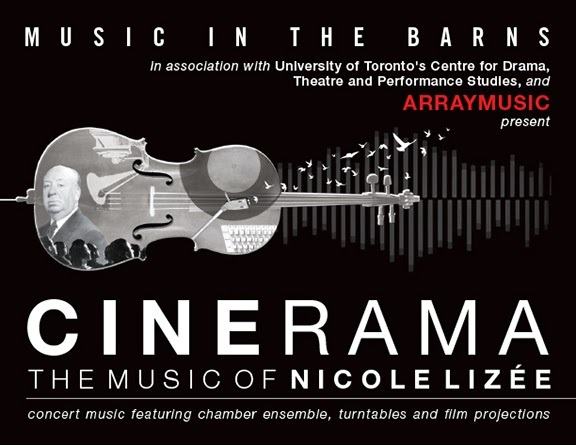 This not to be missed performance includes Lizée's signature turntables, as well as alt-instruments- stylophone and onmiphone, in an action-packed, one hour, intermissionless show. 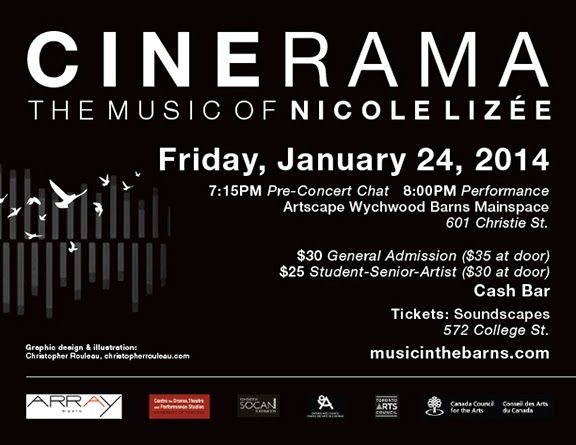 Surround projections will showcase the evening's crown jewel, Lizée’s Hitchcock Etudes, a reworking of the master of suspense's iconic movie moments, set to what will be the world premiere of Lizée's new arrangement of the work for string quartet, percussion and electronics. 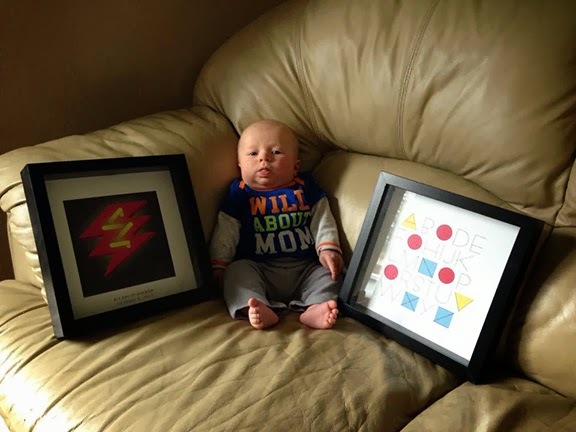 Here's one lucky fellow who received 2 prints for his birthday from his favourite aunt, Lauren. 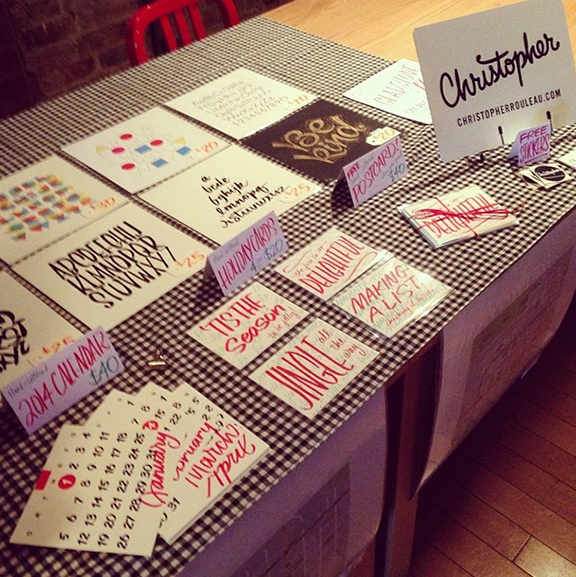 I had a great time at the Gladstone Flea this past Saturday. 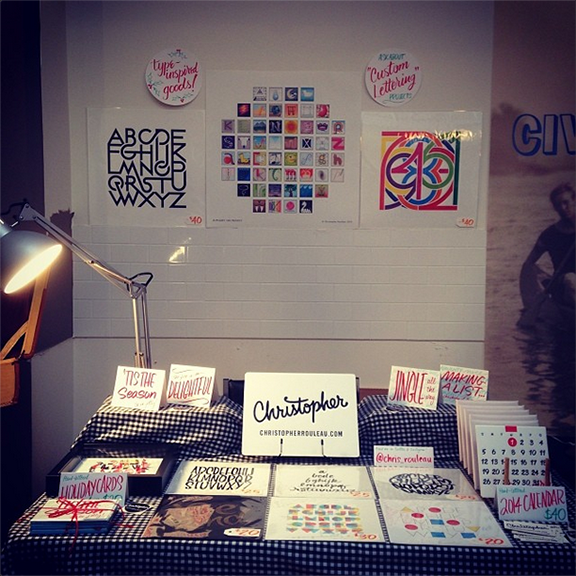 Thanks to everyone who stopped by to check out my work and say hello. A huge thanks to Laura Hopf who organized the whole event. It was fabulous! 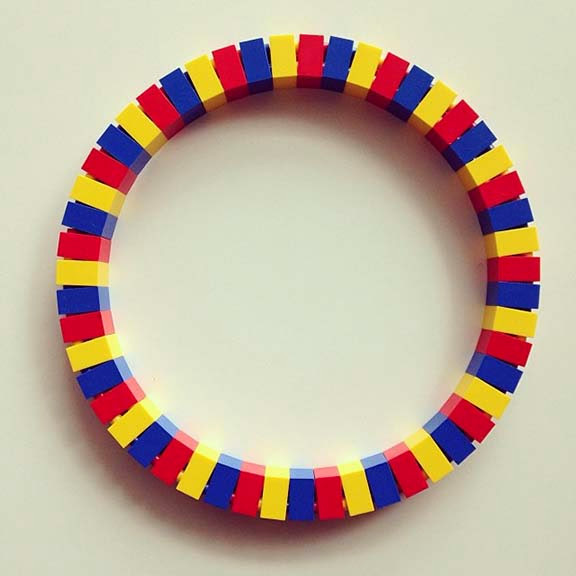 It all started with an O. 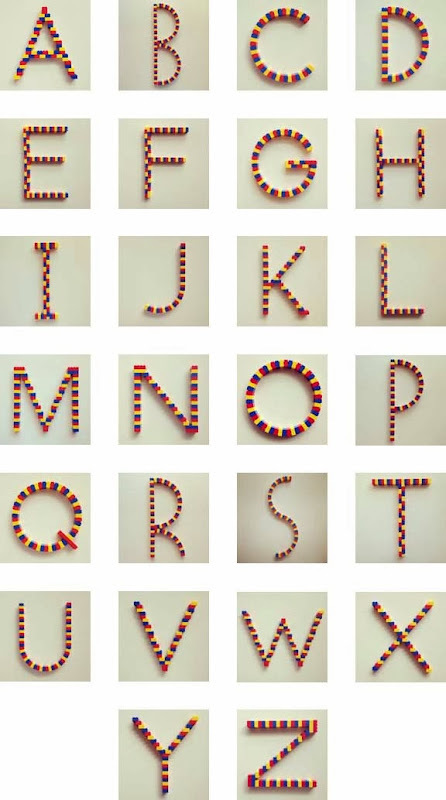 And then suddenly, I had a full alphabet made of Lego blocks! 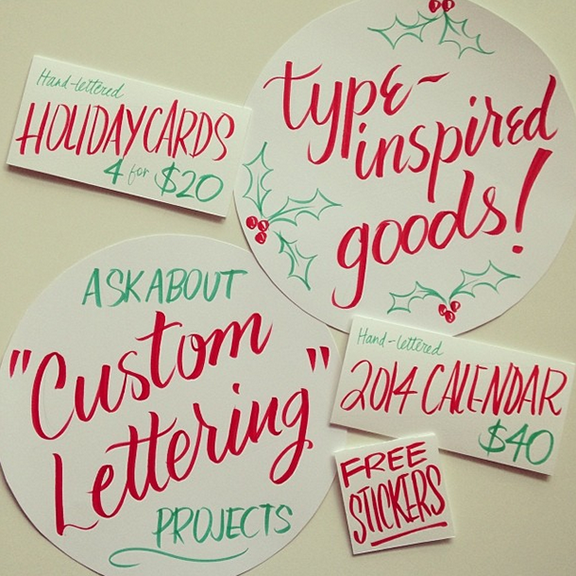 Follow all of my lettering projects on Instagram. Hey Toronto Friends! 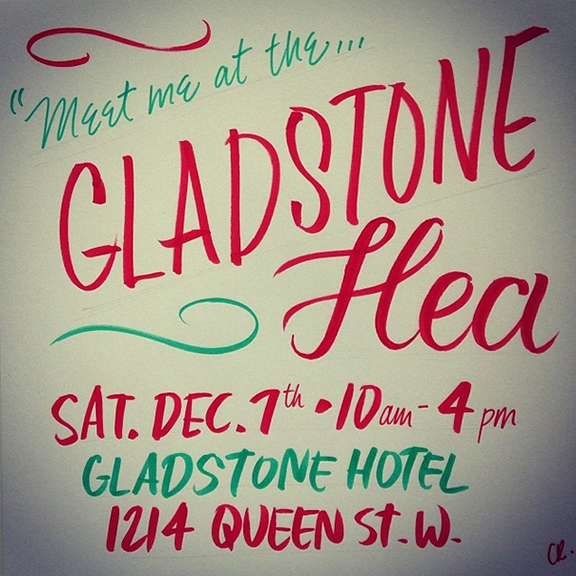 I will have a table at the Gladstone Flea tomorrow (Saturday) from 10am-4pm. I'll be selling most of the products in my shop, including pieces from my winter collection. Above and below is some of the signage you'll see.